Track the movement of materials by using barcodes and barcode scanners to receive, move and issue items within your warehouse, distribution center, stockroom or store. 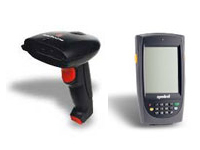 This system is a complete item database with the ability to use cabled barcode scanners attached to PC workstations or scanner enable mobile computers. 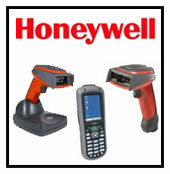 Receive, move, issue, adjust or take a physical inventory on the PC or using the mobile barcode scanner. The mobile scanner gives you the ability to scan your items where they are located rather than at one central scanning station. Print inventory, reorder, out-of-stock, overstock and transaction reports. Barcode each of your items. All Redbeam Software packages come with barcode labels that can be printed to your standard laser printer. You can also print a barcoded item catalog from the system. Periodically take a physical inventory to keep inventory quantities up to date. Generate useful inventory reports and print or export to Microsoft® Excel. Report on current inventory quantities, reorder amounts and items that are out-of-stock or overstocked. Identify shrinkage using physical inventory reports.